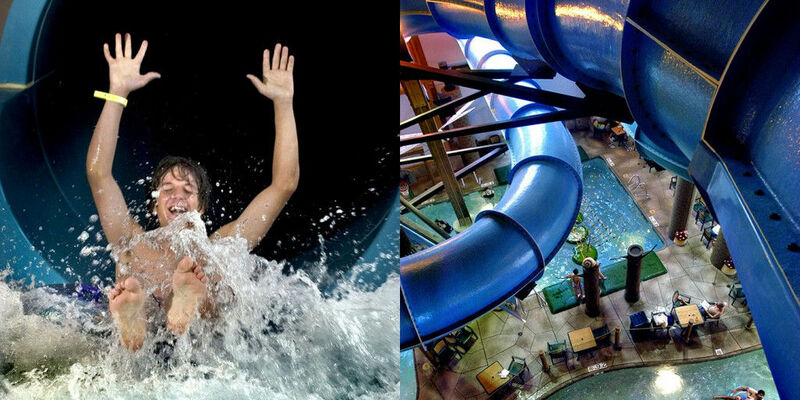 Twist and turn down 6 stories of the four-person family raft ride on the thrilling Tantrum Twist slide. Must be at least 48 inches tall to ride the Tantrum Twist. Count down to the most thrilling ride of them all – a 4-story straight drop through a 273 foot long, 360 degree loop all the way to the bottom within 6.9 seconds. Must be a minimum of 48 inches tall to ride the Super Loop. Plunge down four stories of tube slides throughout the Splash Park. 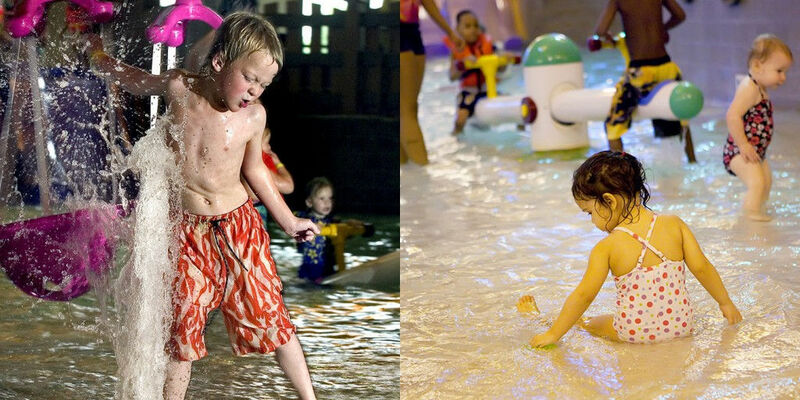 Splash around in the zero-entry activity pool perfect for toddlers. Located in both the Splash and Atrium Parks. 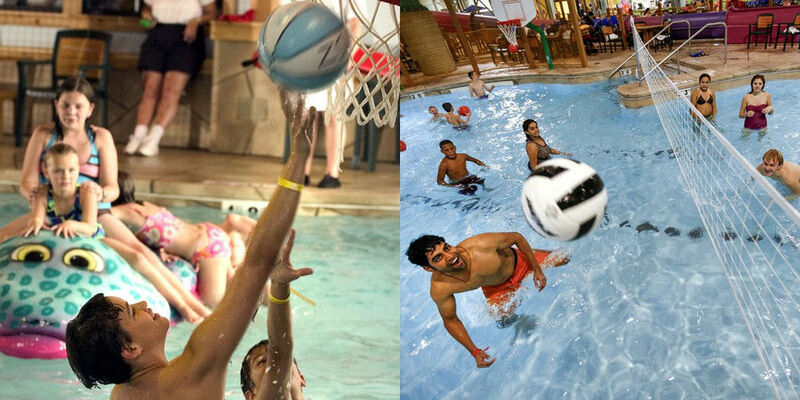 Splash with your friends and family in a game of water basketball or volleyball located in both the Splash Park and the Atrium Park. 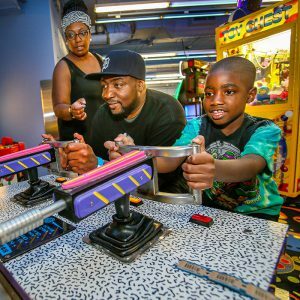 A great family challenge! 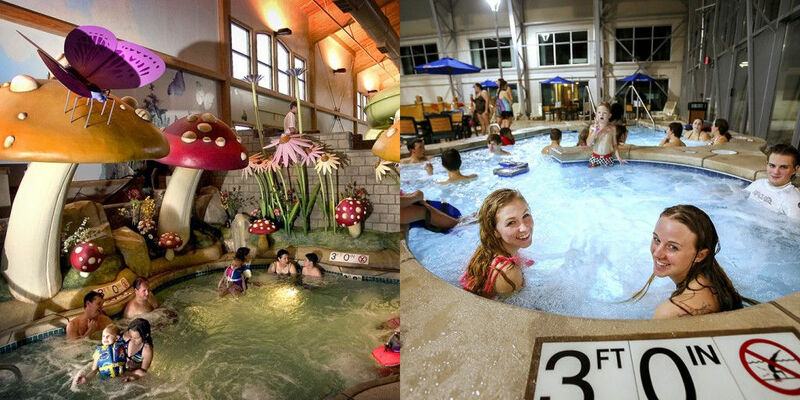 Relax and float along the winding Crooked Brook Creek Lazy River in Splash Park. 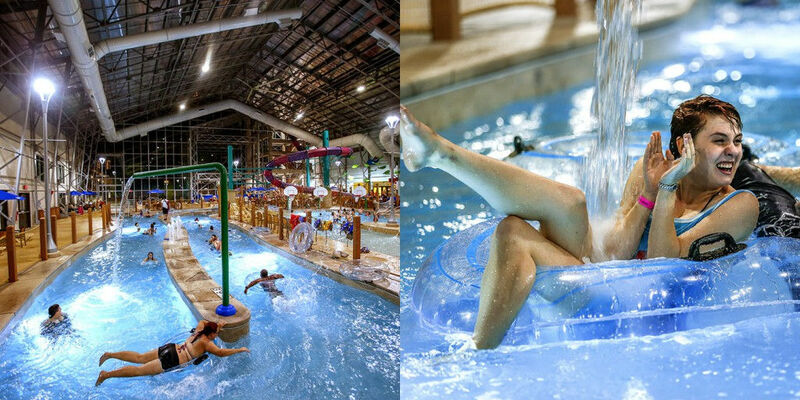 Experience the Not-So-Lazy Action River located in the Atrium Park. Fighting the current is next to impossible! 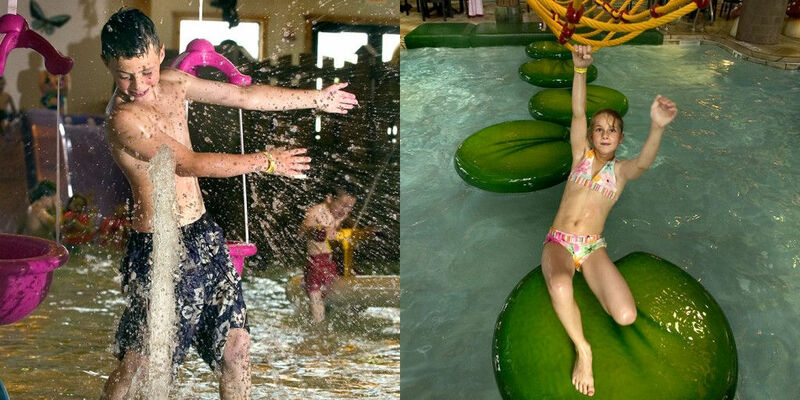 Splash around in the Splash Landing Play area featuring water geysers and lily pads. 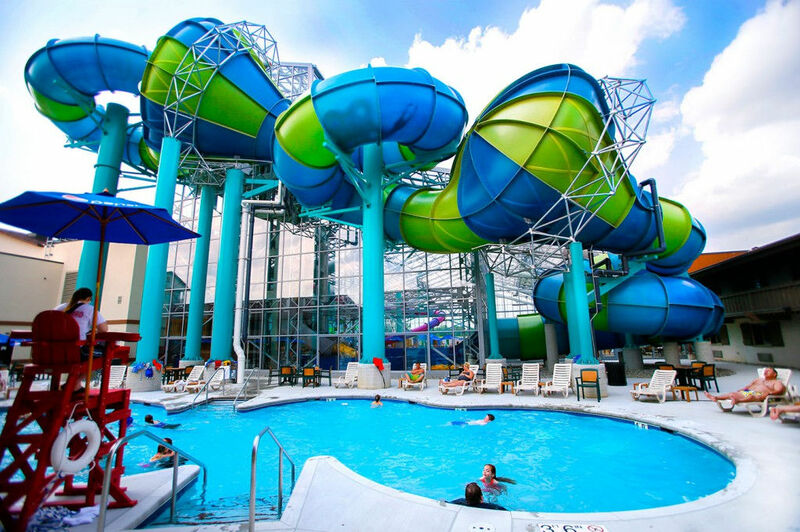 When the weather gets nice, enjoy the outdoor pool overlooking the Tantrum Twist slide. Food and beverage is also available. Located in our Atrium Park, cabanas include a credenza with mini refrigerator, safe, house phone, towels, flat screen TV, food and beverage service and accommodates up to 10 guests. Rental fee does not include admission to the park. 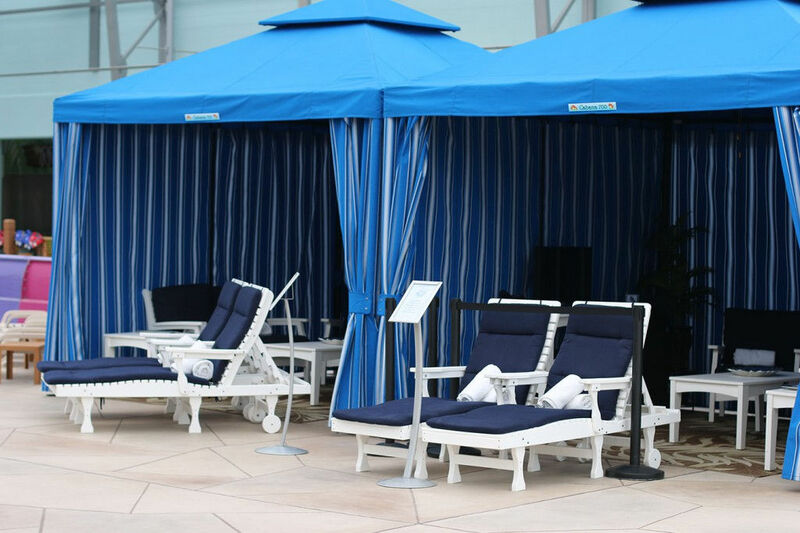 Cabanas are rented on a first come, first serve basis. 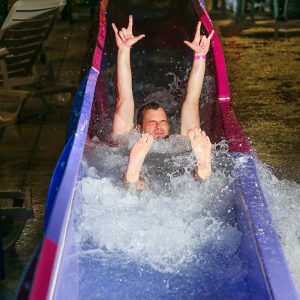 Please note: outside carry-in food or beverages are not permitted in the waterpark or common areas. The Dumping Bucket dumps almost 1,000 gallons of water every 10 minutes! 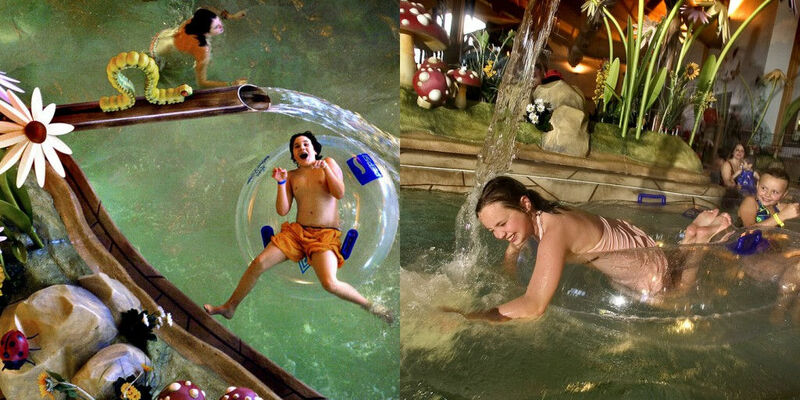 Relax in the Whimsical Whirl hot tubs located in both the Splash and Atrium Parks. Hot tubs seat about 20 guests. 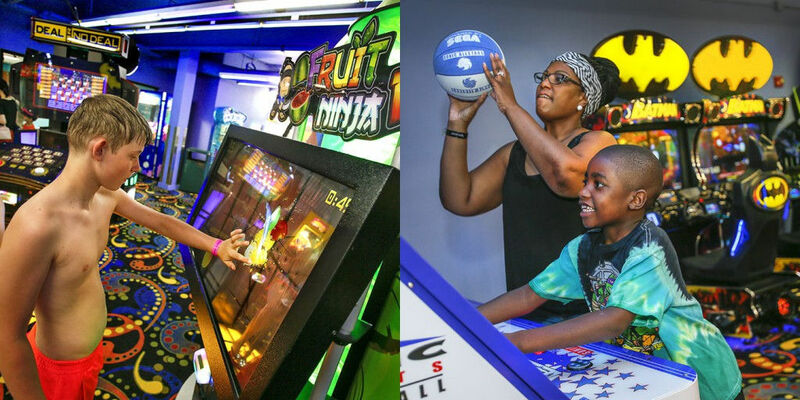 Zehnder’s Splash Village’s 2,000 square foot arcade plays host to over 40 plus of the latest and greatest arcade games with a large selection of prizes. 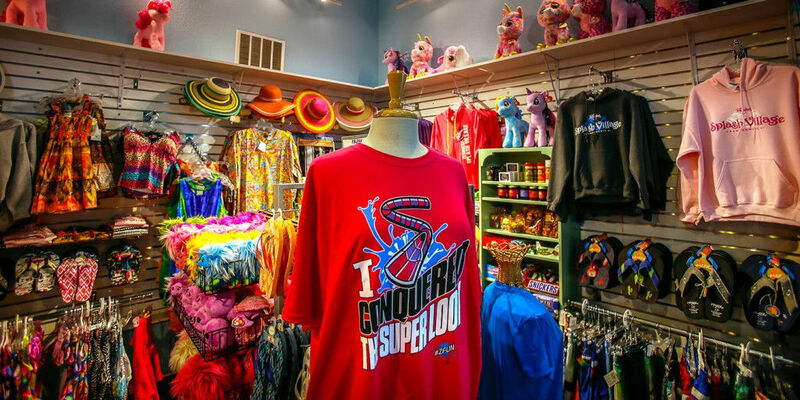 Zehnder’s Splash Village Gift Shop carries many unique souvenir items such as t-shirts and hooded sweatshirts from toddler to adult sizes, caps, beach towels, travel mugs, sundries and plush toys. 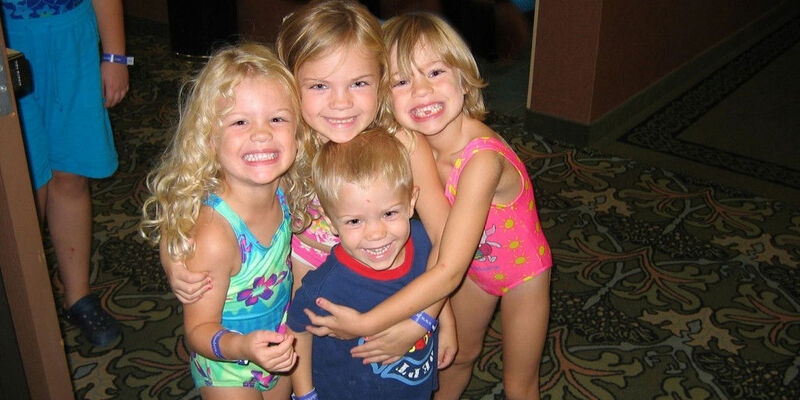 Colorful swim wear is also available in case you were so excited to visit you forgot them while packing. 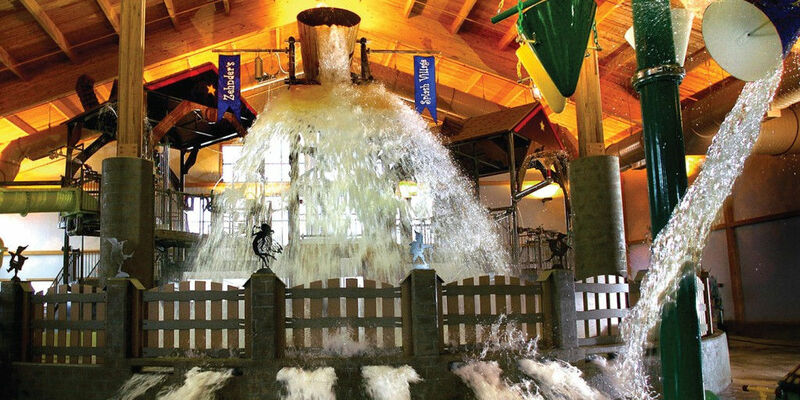 Zehnder’s Splash Village offers a complimentary movie night every evening in the main lobby. 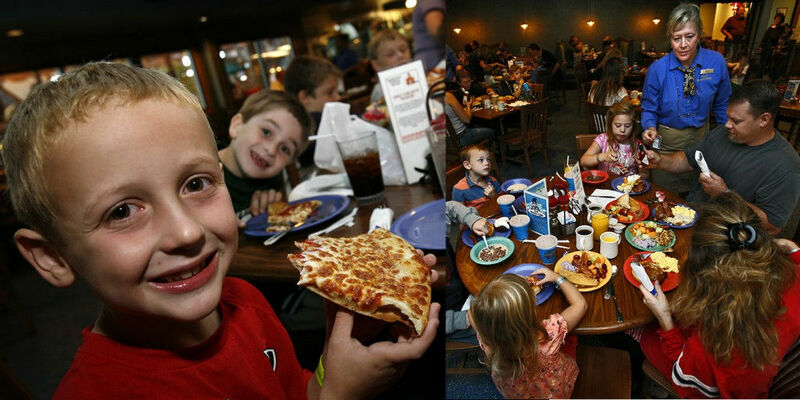 Families can catch current Disney classics and lounge in their pajamas. 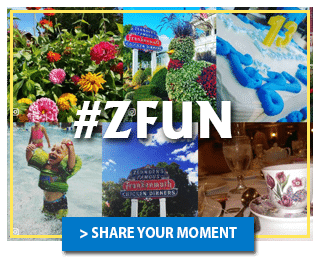 Elf Hollow Café is located in the Main Lobby of Zehnder’s Splash Village. The Mushroom Grille is located within the Atrium Park. 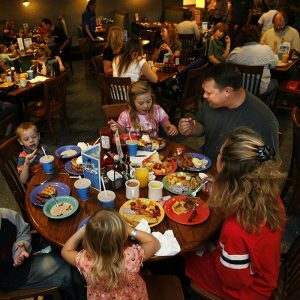 Our Full Breakfast Buffet is available almost daily in Elf Hollow Cafe. Adult and children’s prices are available. Waterpark Snack Window is open everyday the waterpark is open (hours vary). Menu includes pizza, hamburgers, hot dogs, nachos, deli sandwiches, onion rings, fries, cheese sticks, fresh fruit, slushes and Pepsi soft drink products.